No I am not joking with this! SOO good! This is one of those awesome desserts that no one would believe is actually vegan 🙂 Perfect for this beautiful Autumn Apple Season! 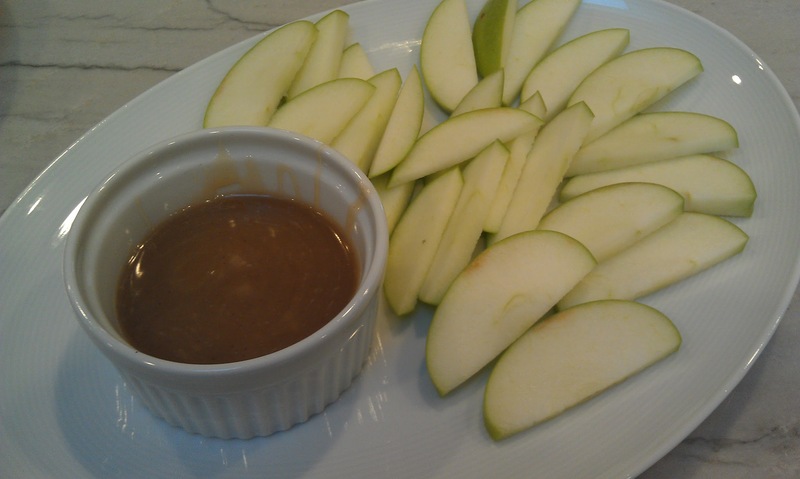 I whipped up the caramel sauce, sliced some apples and deelish! This is just a basic recipe that you can then play around with for many variations. The lemon juice is optional but really complimented the warm apple cider flavors quite nicely. 2. Add the cider/starch to a sauce pan with the other ingredients. Bring the mixture to a boil – stirring constantly. When the bubbling becomes intense, reduce to medium heat and continue stirring until the mixture thickens a bit. 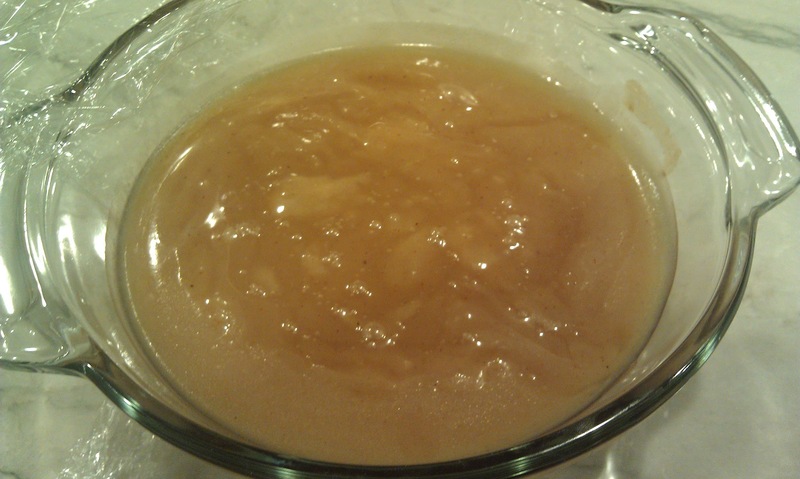 Optional – use a food processor or (better) an immersion blender to add some air into the sauce. 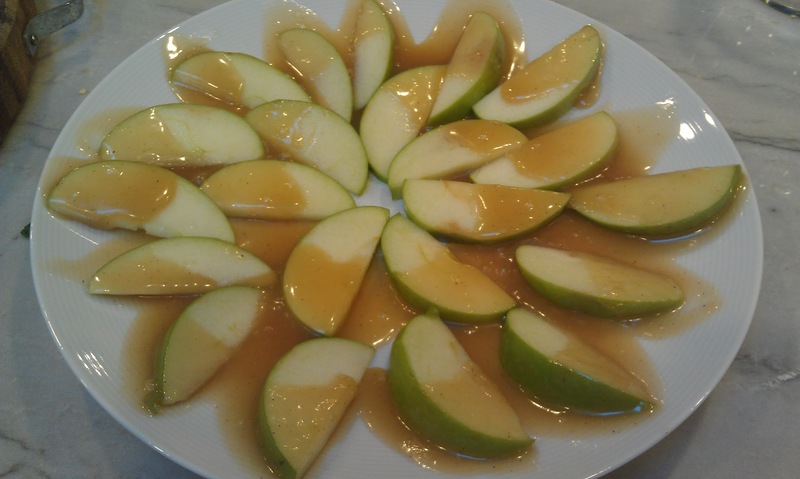 If you don’t have anything to whip the caramel with it will still turn out fine – just a bit less airy.